Ceningan Divers is offering once again an amazing opportunity for two Indonesian citizens to join us for our GoPRO Lembongan Divemaster Scholarship! We are looking for two Indonesian citizens with high-school or above education for a 12 month all-inclusive GoPRO Lembongan PADI Divemaster scholarship followed by a 12+ months full-time employment contract after the training program. The student is 18 years of age. The candidate should have an interest in scuba diving and be an able swimmer. Basic English language skills is a plus. Deadline for entries: October 15th 2018. Application + essay must be submitted by email at info@ceningandivers.com along with a recent resume and copy of your KTP. We reserve the right to ask you for more information, references and copy of certificates or past training programs. Award date: November 15th 2018. The winners will be announced by personal email and through our various channels. What’s Included in our GoPRO Lembongan Divemaster Scholarship? Our GoPRO Lembongan Divemaster Scholarship will cover all of your training costs; including training material, PADI fees, gear rental and a basic salary (As directed by the Ministry of Manpower and the Klungkung Regency: ~2,000,000Rp per month + monthly food allocation during your training. After your training is completed, a competitive industry salary will be negotiated). Yes that’s right, we pay all your training cost + you get a salary while you’re going through the program! The applicant can come from any part of Indonesia, but they must be able to cover their personal expenses for the duration of the scholarship on Nusa Ceningan. We are looking for team players who are interested in becoming active members of our growing family at Ceningan Divers and Ceningan Resort. During your internship, you will be expected to work along side our team and help with all aspect of our daily operation and routine as well as taking an active role in marine conservation and supporting our various local initiatives. At the end of your internship, you will join us as a full-time PADI Divemaster on our team with a 12 months+ contract and an option to later become a PADI Open Water Scuba Instructor if you wish to extend your work agreement and pursuit your personal career development. 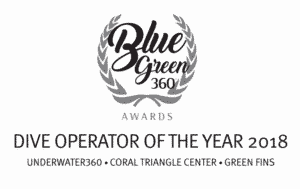 Ceningan Divers is the winner of the 2018 BlueGreen360 Dive Operator of the Year Award. We are located 500 meters on the left side of the Yellow Bridge on Nusa Ceningan (Lembongan). We are an eco-friendly, PADI Five Star Dive Resort. We takes ocean protection to heart, we are a 100% AWARE Partner. 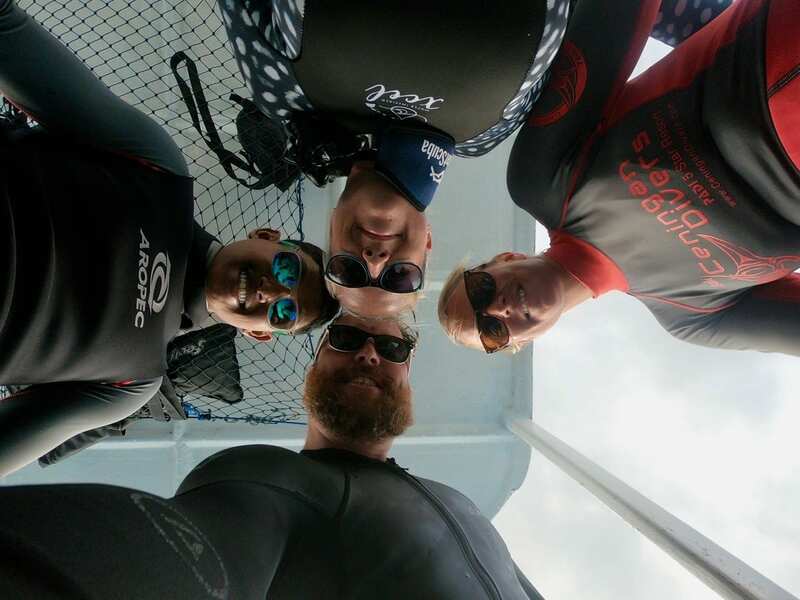 Our Award-winning, cross-functional management team is composed of highly passionate PADI instructors. Together, we have several decades of experience in the diving and tourism industries, both with the local and international markets. You’re not an Indonesian citizen and you’re looking to take on the PADI GoPRO Challenge and do your Divemaster in Nusa Paradise with us? Check out our Divemaster Internship Options today!